22 January 2014, New Delhi: Hero Hockey India League which commences on 25th January at Mohali will kickstart with a complete opening ceremony package from 7 pm. The gala ceremony will be witnessed by the spectators at the stadium and TV viewers will be able to catch it LIVE on Star Sports. The evening divided into 9 segments will see many performances unfolding in front of them, hence giving the audience and spectators 30 minutes of absolute entertainment. Speaking on the preparation on the opening ceremony of HHIL, Dr. Narinder Batra, Chairman, Hockey India League said “In the last one month post Hockey Junior World Cup and Hockey World League Final, we are realizing that Hockey is yet again becoming a household sport entertainment. Keeping this in mind we want to craft an opening for Hero Hockey India League which the spectators will associate with, in the manner they are doing with hockey”. The 13,000 capacity stadium will witness an evening with many performances. While there will a sound and lights show wherein the entire stadium will go complete dark during the entire performance, the spectators in another act will even get to view a complete story being narrated to them through a Laser Show. 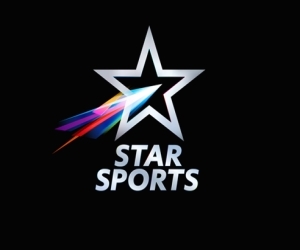 The storyboard within the Laser Show will depict a short montage on Hockey India League and the six franchisees. It will go on to showcase the first edition of Hockey India League with its results, goals scored by various players, the crowds that viewed the match LIVE at the 5 franchise stadiums and the first Champions lifting the trophy of Hockey India League – Ranchi Rhinos. The excitement for the evening will continue with US artists performing Human Slinky which will be a colorful as well as a comical and high-energy act aiming at mesmerizing the crowd and spectators. This will be an act which audiences will witness it first time happening in India. An enthralling evening will always be incomplete without Bollywood presence. Bollywood will yet again make its presence felt through Nargis Fakri who will be seen enticing crowds and spectators with her performance. Her act will end the evening with a high note and with a promise that Hero Hockey India League will be as entertaining and high voltage as the opening ceremony.